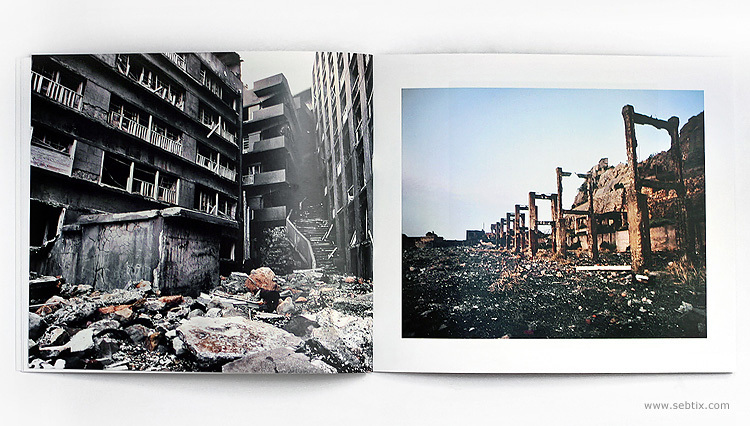 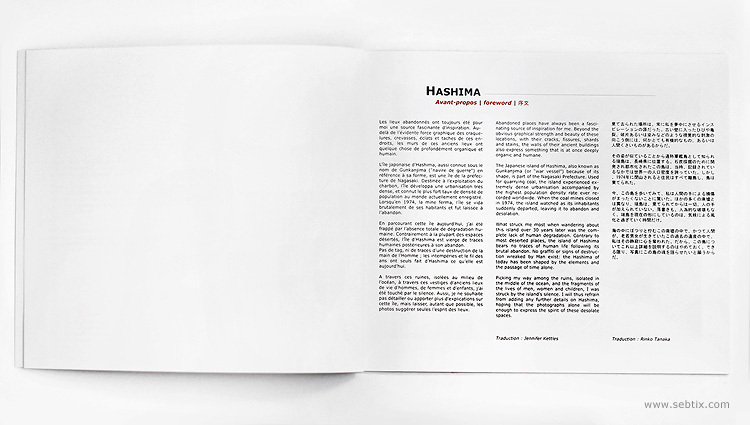 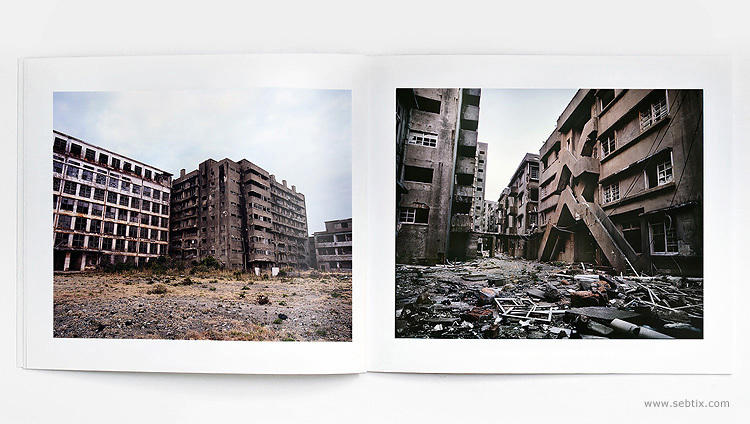 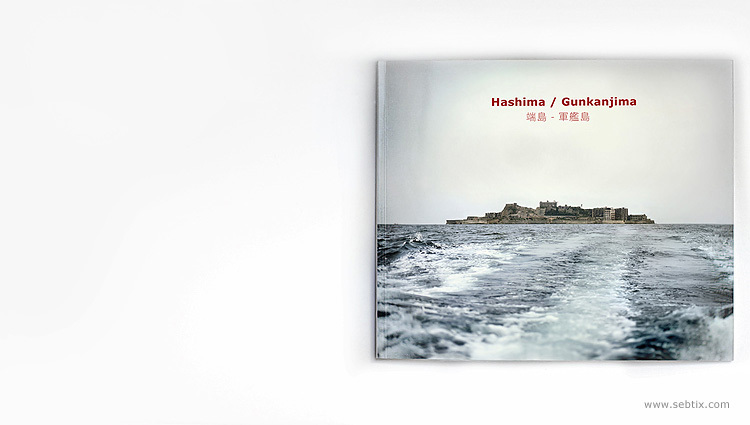 "Hashima / Gunkanjima" is my first book, auto-edited. 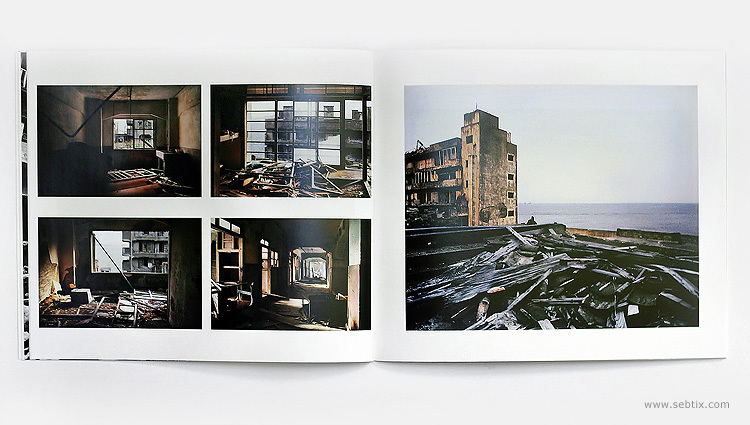 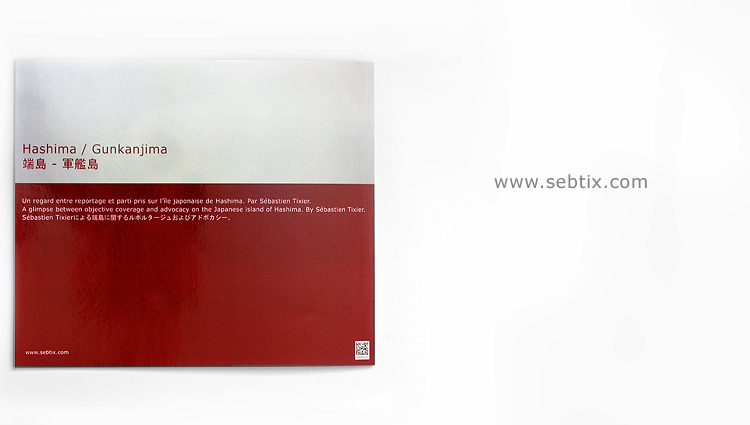 The book presents, over 40 pages, many photographies - most of which are unpublished before - of my work on the island of Hashima / Gunkanjima in Japan, in 2008. 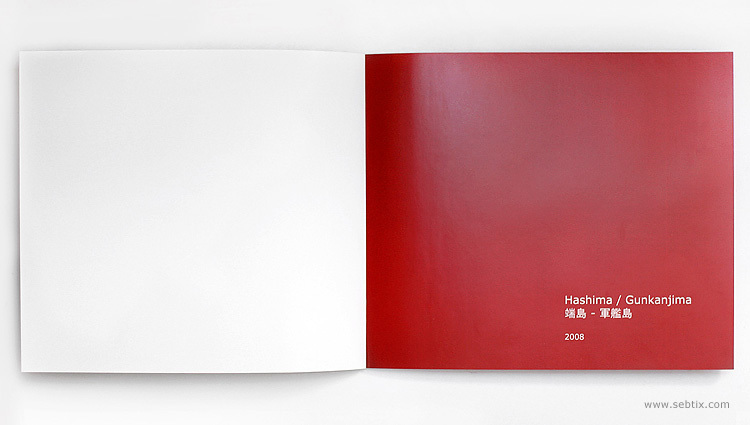 I warmly thank all the people involved in the making of the book, and especially the team of happy photographers I made this trip with - hoping to see some cool projects from their sides too !